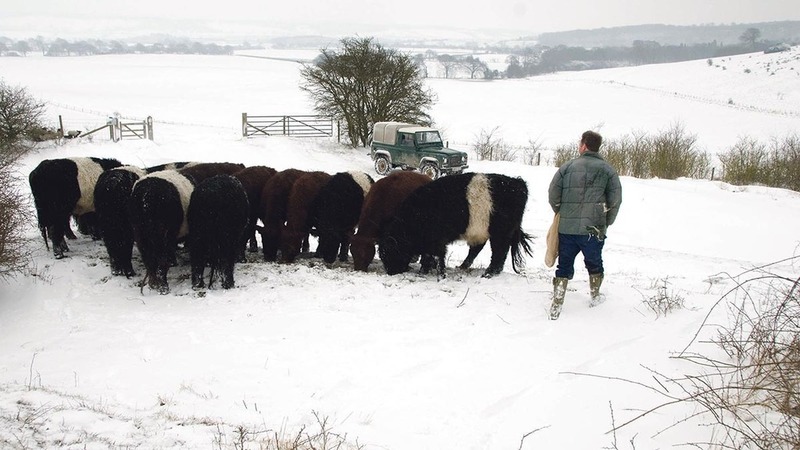 Q: Which cattle are most affected by wintery weather conditions? A: All cattle can be affected by sudden changes in temperature, but it is calves, particularly in the first few weeks of life, that are the most vulnerable to cold stress. Q: What disease pressures should I be aware of in my herd? A: Pneumonia in calves is a big issue. At temperatures under 10˚C a calf will use up its energy just to stay warm. This will result in weight loss and increased susceptibility to disease if the calf is not given extra feed to generate more energy or given the ability to warm up. Respiratory problems are important to keep on top of - draughts can result in wind chill, increasing the risk of respiratory problems in young calves. Equally, the build-up of stale air can cause respiratory problems in older cattle. Lastly, be aware that wet bedding will cause chilling of young calves. Respiratory pathogens survive much longer in moist air than in dry air, so increased humidity increases the risk of pneumonia. Q: How can I resolve these issues? A: You can help young calves to maintain their temperature through: calf jackets, deep bedding, increased milk feeds and heat lamps. Colostrum is key to calf health: give calves at least four litres of quality colostrum within the first four hours of birth, which provides the necessary antibodies for their developing immune system. 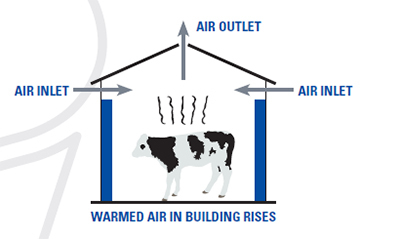 Young calves in a large building will not generate enough heat for the stack effect to work, but older cattle should warm the air so that it rises and passes out of the top of the building, drawing fresh air in through the sides [see diagram]. You can check to see if the ‘Stack Effect’ is working by doing a test with smoke pellets. A: Optimising the environment for improved cattle health does not necessarily require new sheds and high costs; speak to your vet and housing supplier about some simple and cost-effective solutions you can implement on your farm.